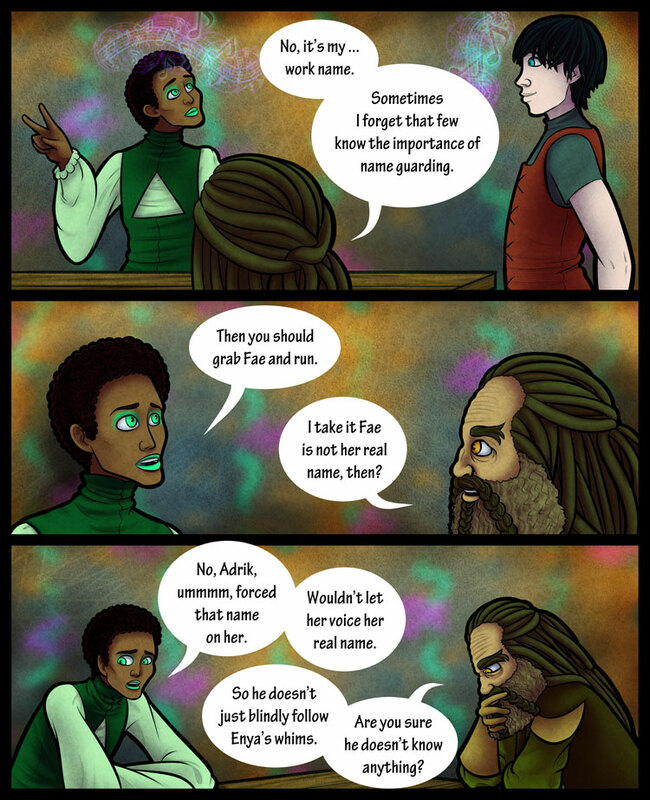 Marie only learned of name guarding after Adrik told her. Also, at the moment this page is inaccurate in that I didn't explain things well the first time around. Things were said in the first chapter without it being entirely clear who said them. That's a mistake I made that will be fixed in the near future. As for characters slipping up and making mistakes with respect to name guarding, it's already happened a few times already. Almost forgot. Today's page has another long ago promised cameo. The guy that Marie is talking to off to the side is Arvalon from Planet Chaser.